Inspired in no small part by Gracy Obuchowicz and her weekly missives around self-care and self-love (no, not that kind, perv), today's musical selections are all about love - finding it, realizing it, and accepting it as an integral part of your life. 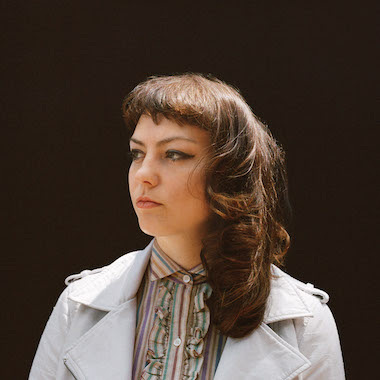 First out the gate is "Shut Up Kiss Me", the second video from Angel Olsen's forthcoming third full-length solo release, My Woman. This thumping proto-punk rocker, about a woman who won't take no from the equivocal object of her desires, serves to anoint Olsen as a worthy successor to Jenny Lewis as a frank, unapologetic chronicler of the romantic and sexual lives of young women. The obvious inspirations are here, from the Everlys and Skeeter Davis, as well as the new wave and punk vocals of Debbie Harry and Pat Benatar. She'll be touring in support of her album this fall, with a stop at the 9:30 Club on September 15. Next up we have "Fourth of July" from Van William, the solo side project of WATERS' Van Pierszalowski. This timely and soaring boot-stomper is about finding your place, learning to love and accept yourself, and shedding the recriminations and the second-guessing that come with walking away from that which you previously believed. William is working on a solo album with an as-yet unpublished release date. Finally we have "BYIMM" from the exquisitely voiced and immaculately coiffed R&B and soul singer Emily King. The title is an acrostic, as BYIMM means "By You I Mean Me". She pulls back the curtains on the stripped-down first verse as she rounds into the chorus, after which the song shifts into full funk mode. It's a powerful affirmation of the importance of caring for yourself, and it complete's our hero's journey on the quest for love. King will be releasing a deluxe edition of her 2015 album The Switch on July 8, and playing the 9:30 Club the following day.